Robin Mulcahey has always dreamed of being a big-time actress. As a college student, she took endless drama classes and finally snagged the lead of Maggie in Tennessee Williams’s Cat on a Hot Tin Roof. Now, six years later, she’s one of the country’s hottest soap-opera stars. She’s just won a Daytime Emmy for her portrayal of South Riding’s bad girl, and now when it seemed life couldn’t get any more perfect, she’s wed Declan Blair, an up-and-coming Irish film actor. 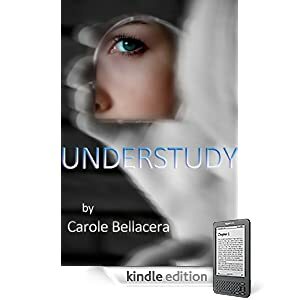 "[UNDERSTUDY ] will keep you on the edge of your seat and hard-pressed to put the book down. Wonderful!" 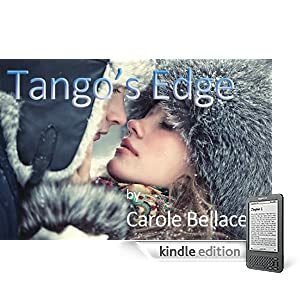 The emergency room doors slid open, and an attractive middle-aged couple burst into the turmoil of a crowded waiting room, hair and faces wet from the falling snow, eyes frantic. The noise inside the ER was overwhelming--overhead pages blaring codes incomprehensible to anyone but medical personnel, people shouting, trying to get the attention of a passing nurse or doctor, an infant screaming at the level of the most raucous of heavy metal bands, gurneys clattering down crowded corridors. Non-critical patients occupied seats, some of them coughing, puking, groaning, some bloodied, others looking outwardly healthy. Medical personnel in green scrubs moved through the chaos, seemingly unruffled. The man who'd just entered looked around, his eyes settling on the bulletproof glass protecting the reception center. He was tall and handsome, a man in his late forties with slightly graying hair, and wore an unmistakable air of power and importance. "Over here," he said to his elegant blond companion, striding to the reception area. The woman followed. He spoke through a window to a petite dark-haired woman wearing a brightly patterned jacket and a badge emblazoned with a smiley face and a name--Rosemary Sethford, RN. "I'm Michael Mulcahey. My daughter was brought in from a car accident. Do you know her condition?" The nurse glanced at the erasure board on the wall behind her. "They're working on her, sir. That's all I can tell you right now. Please take a seat, and a doctor will be with you as soon as possible." Michael's lips tightened. "I'm former congressman Michael Mulcahey, and I demand to see a doctor right now!" The nurse's eyes grew cold. "Please take a seat, sir," she repeated. "The doctor will see you as soon as he has done everything possible to save your daughter's life." The woman at his side touched his arm. "Come on, Mike. Let's do what she says." He swallowed hard and turned to her. "It's our little girl, Tammy. I just need to know she's okay." "I know," Tammy said quietly. "But there's nothing we can do except wait." She guided him to a seat in the waiting room, and they sat, gripping each other's hands. Nothing changed in the ER. The baby still cried--horrible screeching wails. A young man vomited into an emesis basin. The nauseating stink of it wafted through the stale air, along with the overpowering scent of cheap perfume and rank body odor. Machines beeped and shrilled out alarms. Voices in various languages babbled in excitement or anger. A woman sobbed. Another moaned in pain. A man yelled obscenities. More sirens whooped, and incoming causalities clattered through the doors on racing gurneys. Finally, an hour later, a young resident appeared in front of them, his scrubs covered with splotches of blood. Michael paled, but Tammy sat rigidly, her only sign of tension a slight clenching of her fist in her lap. "Mr. and Mrs. Mulcahey?" The resident said as the couple got to their feet and faced him. "Your daughter has been stabilized, but her injuries are severe. She apparently went through the windshield in the accident, and she's suffered extensive facial trauma. Her jaw was fractured, both lower and upper. There were also fractures of the nasal passages, cheekbones and the right eye. She has suffered various lacerations and contusions of her upper body." He took a deep breath and released it, his voice softening at the look of horror on Michael's face. "I'm sorry. I'm just telling you all this because I want you to be prepared when you see her before she's taken up to ICU. You're probably not going to recognize her." The resident was right, Michael thought, as he peered at the young woman lying on the gurney in Cubicle # Five. Tammy took one glance at the unconscious figure and turned away, the blood draining from her face. Michael was stronger. He took a deep breath and touched his daughter's small, limp hand, the one that was still unbandaged. "It's okay, Cupcake. Daddy's here. Robin, sweetie, you hold on. Everything's going to be fine." They only had a moment before medical personnel whisked her away to the elevator. Behind him, Michael heard a soft cough and turned to see the resident. "Mr. Mulcahey, we've called in a maxillofacial trauma specialist for your daughter. There's just one other thing..." The resident shifted his weight and hesitated a moment as if trying to organize his thoughts. "Your daughter wasn't alone in the car. The rescue workers brought in another young female." He paused, then said, "There was nothing we could do for her. She was killed on impact. The thing is...we couldn't find any identification on her. We were wondering if..."
Beside him, Michael heard Tammy gasp. He looked at her, and saw in her eyes she was thinking the same thing. "Amy?" he murmured. "It has to be," Tammy said. "They were inseparable." Michael closed his eyes as anguish washed over him. Oh, poor Sunshine. But along with the anguish, he felt something else. Something that made him less than an admirable human being. Relief. Relief that it was his daughter that had been spared, and her poor, unfortunate best friend that had died. "Mr. Mulcahey, do you think you might know this girl? And could you give us the name of her next-of-kin?" Michael looked at the resident. Suddenly he felt an overwhelming weariness come over him. It was almost five in the morning, and they'd been up since the phone call shattered the winter silence at three. But it wasn't so much physical fatigue as emotional. And now, this added shock. "If it is Amy, there's no one you can call," he said slowly. "Her mother is her only living relative, and she's locked away in a nursing home here in Richmond. From what I understand, she's catatonic. Hasn't spoken a word in years." Michael and the resident stared at each other as seconds ticked by. Outside the emergency bay doors, a siren moaned, and then stopped with a burp. Eerie silence fell. "I hate to ask you this, Mr. Mulcahey, but do you think you can identify her? We need to get the death certificate processed." After a brief moment, Michael nodded grimly. "Where is she?" The resident turned to lead him away, but Tammy touched his shoulder. "Mike, do you want me to come with you?" He ran a nervous hand through his neatly-trimmed graying hair. "No, Tam. I don't want you to put yourself through this. I'll be back in a few minutes, then we'll go up to ICU and see how Robin's doing." Tammy watched her husband go with the resident. She was glad he hadn't wanted her to come with him. It was bad enough seeing her daughter all bloodied and messed up. She certainly didn't want to see Amy's mangled body. It was such a shame. Such a waste of young life. But Tammy had always known that something like this would eventually happen. Robin had been running wild since her teens. In fact, it was amazing it hadn't happened before this. The phone call had awakened them just before three o'clock in the morning. The dreaded phone call from a hospital ER telling them that their daughter had been severely injured in a car accident. Well, of course she hadn't been alone. Wherever Robin had gone, little Amy had followed. That's the way it had been since they'd become roommates their first year at William & Mary. She looked up to see Michael approaching her, his face even grayer than it had been before. "Was it Amy?" His blue eyes stark, he nodded and extended his hand toward her. "The doctor said she was wearing this." Tammy stared at the blood-stained silver chain with its pendant in the shape of a sun. Her heart bumped. She clearly remembered the last time she'd seen the necklace. On Christmas morning when Amy opened their gift, and held it up for everyone to admire. Tears had shown in her blue eyes as she'd tremulously thanked them--not just for the necklace, but for treating her like part of their family. It was impossible to think that shy, sweet Amy was dead. Tammy met Michael's eyes. "Was she really...?" He gave a terse nod. "I'm glad you didn't see her. Come on, Tam, let's go check on our daughter." She heard the voices before she could make out the faces. She felt the gentle touch of a hand clutching hers. Smelled the strong scent of a familiar perfume. Slowly, she opened her eyes and through a gauze of milky whiteness, saw a woman gazing down at her. An older woman, pretty, but rather frayed around the edges. She looked familiar, but her name evaded her. "Oh, Robin, sweetie," the woman whispered, squeezing her hand. "Thank God you're going to be okay." Robin. There was a name she recognized. She moaned, and tried to speak but something was stuck in her mouth. Some contraption. Where was Robin? The confusion in her brain cleared a bit, and she suddenly knew who the older woman was. Tammy. Amy blinked and tried again to speak. Nothing but a soft groan came out. A movement beyond Tammy's shoulder caught her eye. It was Robin's father. He was gazing at her, a tender, anxious expression on his face. An overwhelming rush of love flowed through her. Robin's parents really did care about her. It was so wonderful to finally have a family...after so many years of not having one. "Robin, the nurse is going to give you something now to make you sleep." Tammy squeezed her hand. "But we're going to be right here all day, okay?" "That's right, Cupcake." Michael edged over and smiled down at her. "We're not going anywhere until we know you're out of the woods." Dimly, Amy saw a woman in a brightly-colored jacket inject something into the IV line that ran into her left arm. Almost immediately she felt as if she were floating away. But she struggled against it, wanting to say something...wanting to ask...something. Her thoughts were all muddled. But just before the darkness closed around her, one thought rang through her consciousness with crystal clarity. Why were they were calling her Robin?